The Soekris Engineering discrete R-2R sign magnitude DAC technology is now available as a small OEM module designed to be integrated in all kinds of audio products. Input is I2S and SPDIF, with reclocking FIFO. Clocking is with low jitter digital programmable oscillator, either on board or off board. 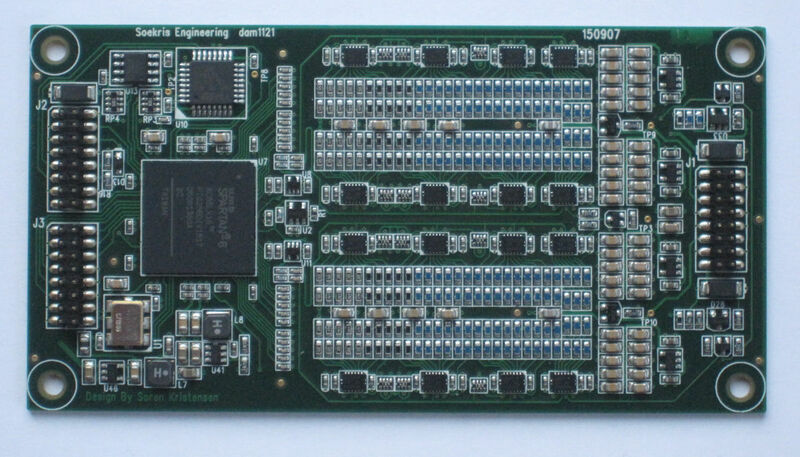 Multiple board can be syncronized for balanced or multichannel use.